Theodore Ferringer Awarded Bike Cleveland’s 2013 Guardian of Transportation Award! 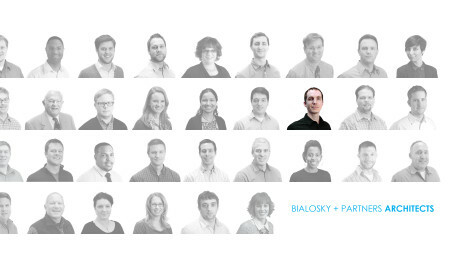 Bialosky + Partners‘ own Theodore Ferringer , Assoc. AIA has been bestowed with the 2013 Guardian Transportation Award in recognition of the time and talent contributed to Bike Cleveland in 2013. Theodore receiving his medal on-stage from Bike Cleveland Executive Director Jacob Van Sickle. No one told Theodore ahead of time; he just showed up to the Bike Cleveland Annual Meeting at The Beachland Ballroom and Tavern as planned, and was surprised with a very fragile translucent medallion engraved with the Guardians of Transportation – the giants that stand on the Lorain-Carnegie Bridge . Theodore wears the medallion like a an Olympic Gold Medalist when he’s at the office after-hours for his second-wind. The medal bestowed to Theodore last week! 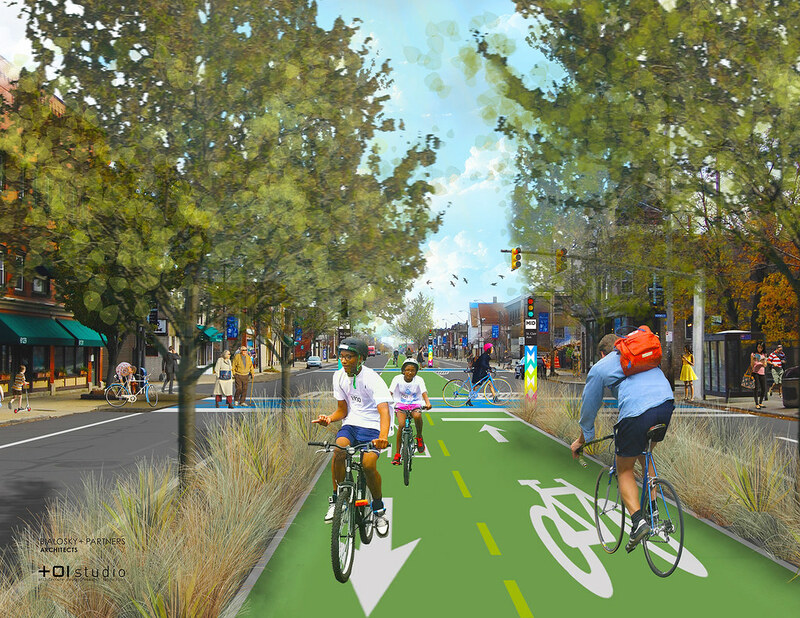 Now, for the work behind the award- Theodore has led Bialosky + Partners in the design and planning of “The Midway”, a planning proposal generated on a pro-bono basis, that imagines Greater Cleveland and its neighborhoods threaded together by a user-friendly bike network. 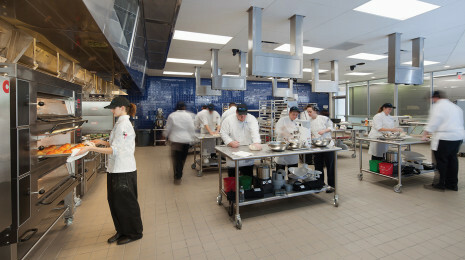 So You Want To Build a Culinary School?